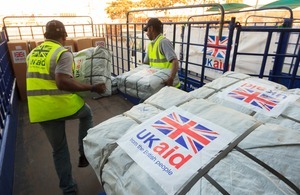 Britain will increase the amount of support it provides businesses in Africa and other poor countries in a bid to boost economic growth and break their dependence on aid, Development Secretary Andrew Mitchell has announced. The Coalition Government has placed a new priority on the role of the private sector in international development, both in terms of UK firms operating in the poorest nations and businesses already based in developing countries. The three new business projects will help to create thousands of jobs in food production, deliver low-cost energy to 50,000 African businesses and help UK supermarkets to bring ethically traded African food products to UK stores. The three challenge fund projects provide much-needed investment in businesses which can prove that they have innovative and commercially viable business plans which can create jobs and improve the livelihoods of local communities, including Africa’s newest state, South Sudan. Stimulating economic growth is the surest way to help people pull themselves out of poverty. Unlocking the creativity and dynamism of the private sector will help to create thousands of jobs in the poorest countries. To businesses I say this: we will support you to grow and move into new markets if you can prove that you will help improve the livelihoods of the poorest. Africa is booming, with predicted growth of 6 per cent next year. Our aid will help ensure the poorest are not left behind. This will help Britain as well, opening up new markets and trading partners for British goods. Often starved of the finance and partnerships needed to grow and expand, promising businesses in the developing world are held-back, stifling new business models and keeping the countries locked in poverty. The projects will help promising businesses in Africa and Asia as well as British businesses that are looking to expand their work in the developing world and opening up new markets for British goods and services, stimulating trade across the word.